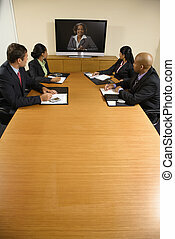 Corporate meeting. 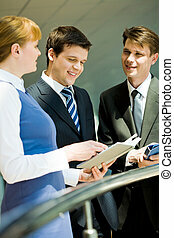 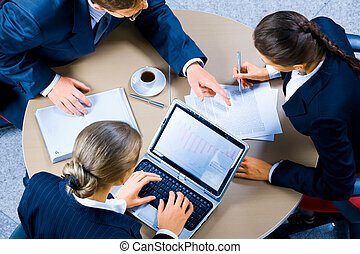 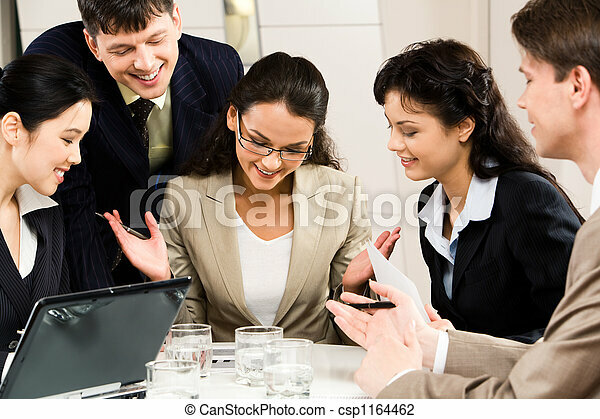 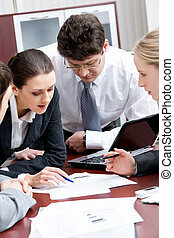 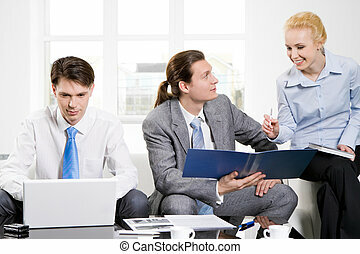 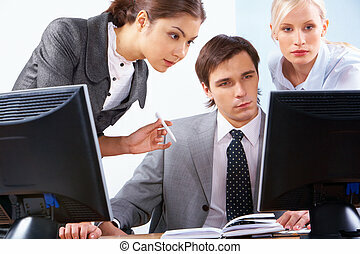 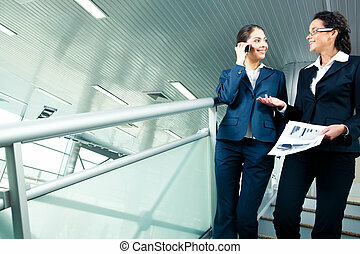 Image of successful businesswoman with four colleagues looking at plan near by. 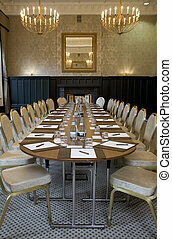 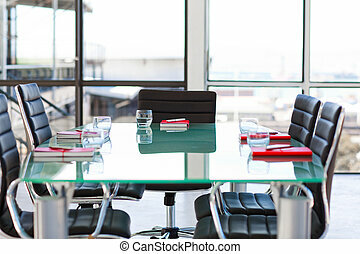 Corporate meeting room with chairs and tables. 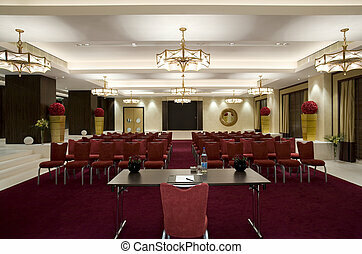 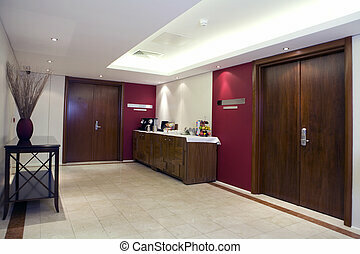 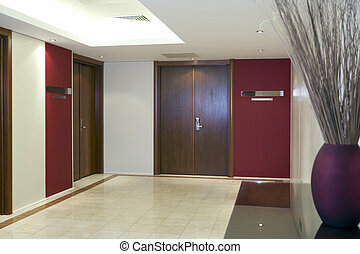 The reception area of a corporate meeting room. 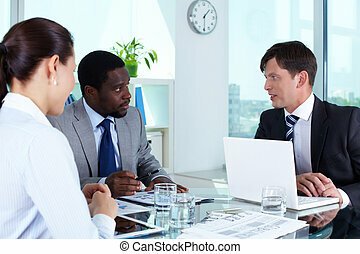 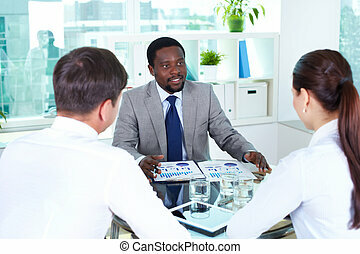 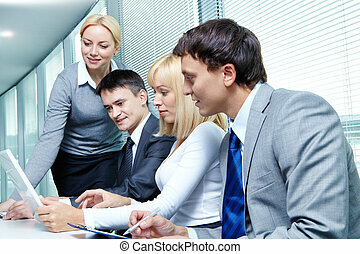 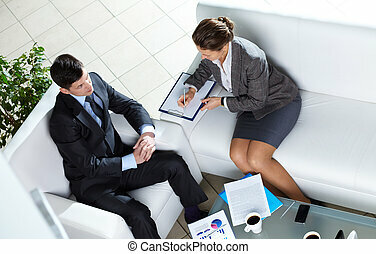 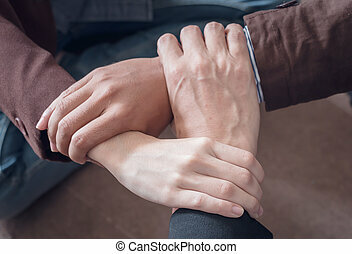 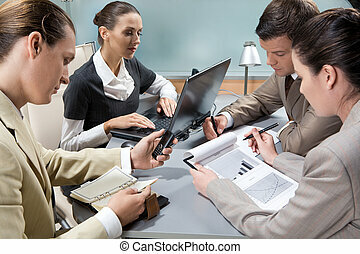 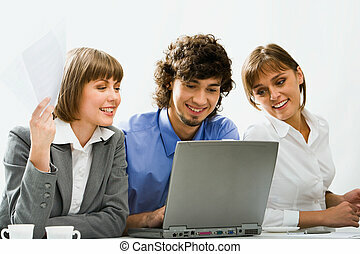 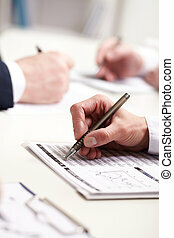 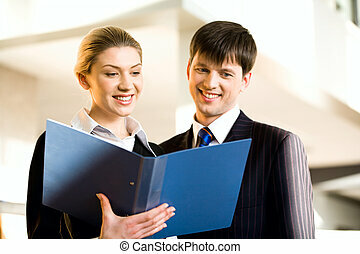 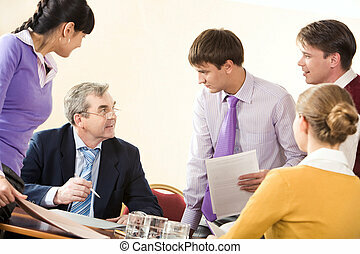 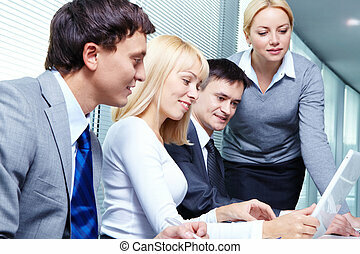 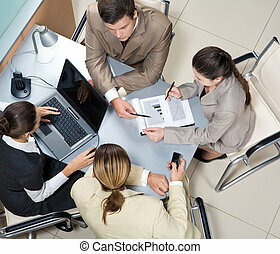 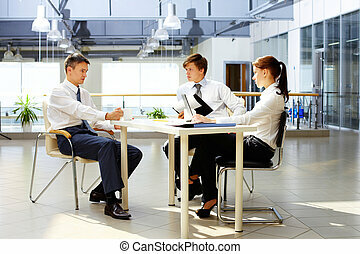 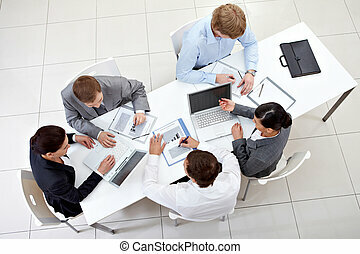 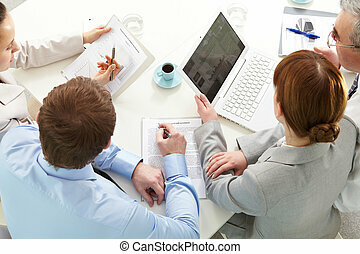 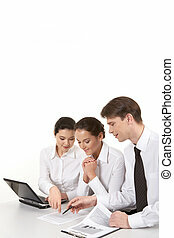 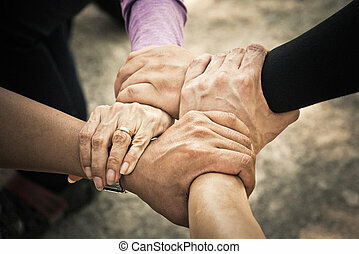 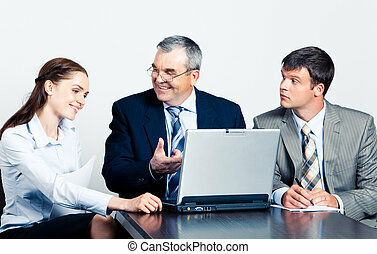 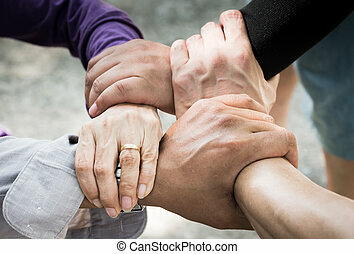 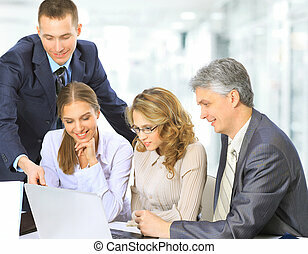 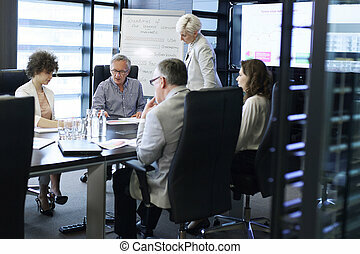 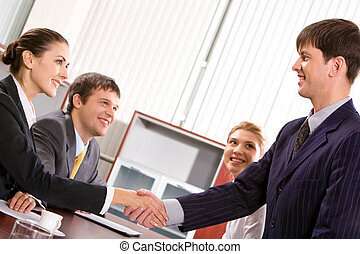 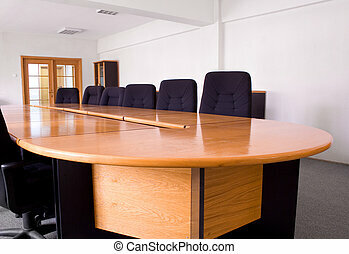 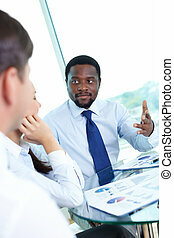 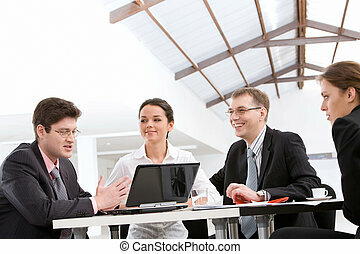 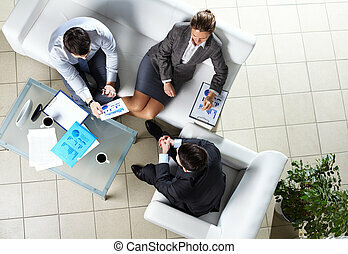 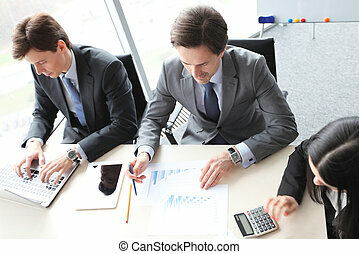 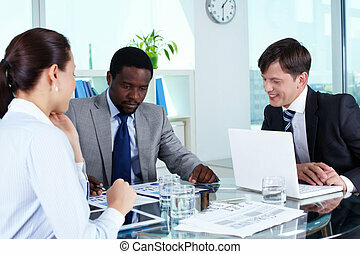 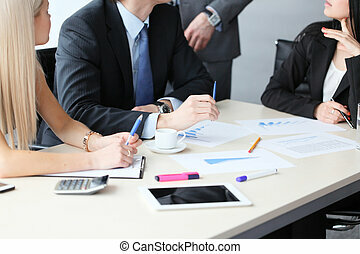 Businesspeople sitting at conference table looking at flat screen display.